• iTunes supports only MPEG-4 (.WMV, .m4v, or .mov) with H.264 compression. That means in order to import WMV to iTunes, you need to convert WMV to iTunes supported video formats first and then transfer the converted videos to iTunes for playback. Here the ultimate converter from Aimersoft is recommended as the most appropriate tool to convert WMV files to iTunes MP4, MOV or M4V fast yet with high output video quality. This program is fully compatible with Windows 8/7/XP/Vista. If you're using a Mac, simply get the equivalent Mac converter to convert WMV to play in iTunes on Mac OS X (Lion and Mountain Lion included). Here the detailed way to convert WMV to play in iTunes in Windows (Windows 8) is introduced. The method to convert WMV video to iTunes on Mac is the same. You just need to make sure you've downloaded the right version. Open the program and load the WMV video files from your computer or devices in either of the 2 ways: 1> Click Add Files to browse and select WMV videos for conversion. 2> Directly drag the WMV files to the program interface to load them. You can then preview the videos, choose subtitles, select audio tracks, etc. as you like. If you want to convert multiple WMV videos to a single file for iTunes, simply click the Merge all videos into one file button to combine all the added video files into one. 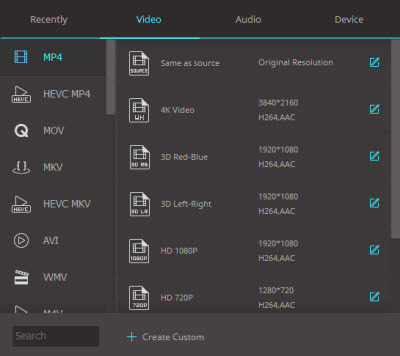 This video converter provides a built-in video editor that lets you personalize your videos and bring it to the next level instantly. 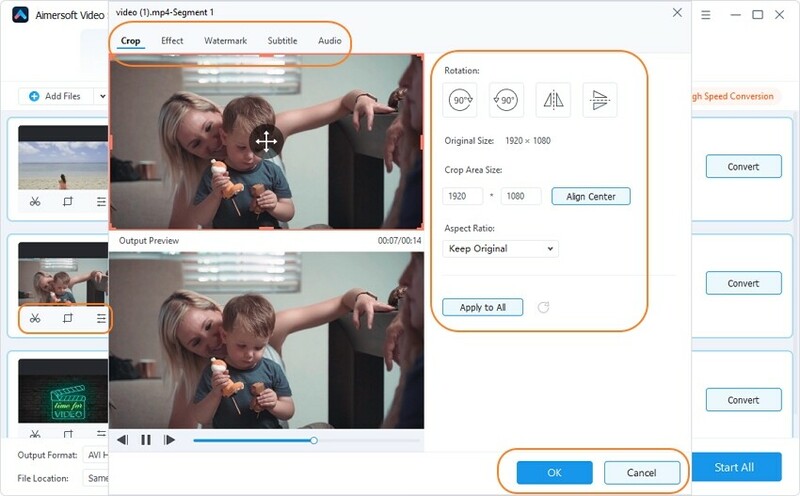 By clicking the Edit button, you can enter the video editing window, where you can crop the video frame size, trim the video into small flips, adjust the video effects, add watermarks, insert subtitles and more. Since MP4 is an iTunes compatible format, here you can click Output Format on the right and choose MP4 from Video > Format as the output file format. Then click the Convert button to start converting the added WMV videos to iTunes MP4. The conversion time depends on your video size. When the process is done, click Open Folder to locate the converted MP4 videos. You've successfully converted Windows Media Video to iTunes. Now open iTunes and click File > Add Files to Library to import the converted video files to iTunes library. Done! Now you can play the WMV files in iTunes without any troubles or just transfer them to your iPhone/iPad/iPod without any restrict. Just enjoy your videos. 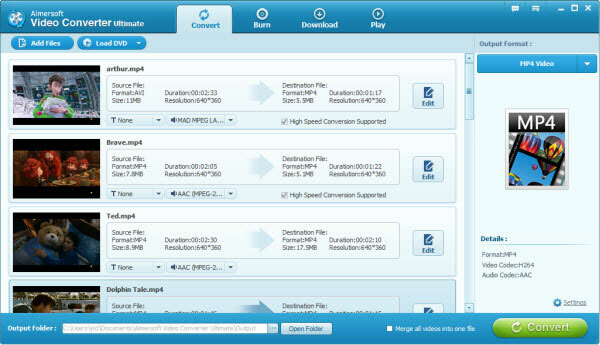 As you see, it's easy to convert and transfer WMV to iTunes with the help of a video conversion program. In fact, this program provides more than you've expected. In addition to WMV, it can also convert AVI, MKV, FLV, VOB, 3GP, ASF and more formats to iTunes. With this handy program, you can definitely enjoy more of your digital world. don''t waste your time. Only 1/3 of video gets converted. Thanks Aimersoft, that''s 15 minutes of my life I will never get back! You !!!!!! What they forget to tell you here is that the free version applies a watermark the first time you convert unless you spend the $35 to purchase the product. It does work however.